What is the proper way to install my heat shield? Place your heat shield directly above the burn pot. If the notches allow your heat shield to move left and right in the bottom of your grill, you should slide it to the right until it hits the edge of the notch. This grease tray system was designed so the top tray can move left and right to open and close the holes. For indirect heating you will want the holes closed, this is best for temperatures 350°F or less. If you want to sear your meat you will want to have the holes open, allowing direct heat to your meat. With the legs extended to the ground, line up the support arms of the side tray with the tray mounts. Slide foward to attach, and hang the grease bucket after the tray has been connected. Be sure to remove the grease bucket and side tray before refolding the legs. To install chimney you will need a 10mm wrench or socket. Tighten the chimney securely to the side of the grill. Make sure that the white gasket goes between the chimney and the grill itself. The Davy Crockett chimney is designed to rotate, decreasing its overall height for storage. To do so loosen the 10mm bolts, and slide the chimney within its brackets before storage. Keep the burn pot clean. You will need to periodically clean out the burn pot for the grill to run efficiently. A general rule is to clear all ash from the pot after every bag of pellets you burn. Hold the “FOOD” button down, Then plug the grill back in, while continuing to hold “FOOD” button for about 15 seconds. The LCD Panel will begin to count up from 1 to 999, Release the “Food” button. Then wait for the Display to show “Off” on the LCD Panel. Unplug your Grill and plug it back in to complete the board reset. Locate the “GMG_DC_***” Network, the Last 3 numbers of the network name will match the last 3 numbers on your S/N. Once Verified you can select the Network and enter the password. On the front of the digital control board is a small red led light (above the green buttons and below the Temp Display). When you connect the grill into server mode, this red LED will remain lit as long as the grill is connected to the server. 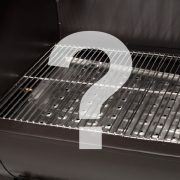 If you notice the LED is no longer lit and you did not remove your grill from server mode, the grill has lost its connection. The LCD panel will begin to count up from 1 to 999, release the “Food” button, then wait for the display to show “Off” on the LCD panel. 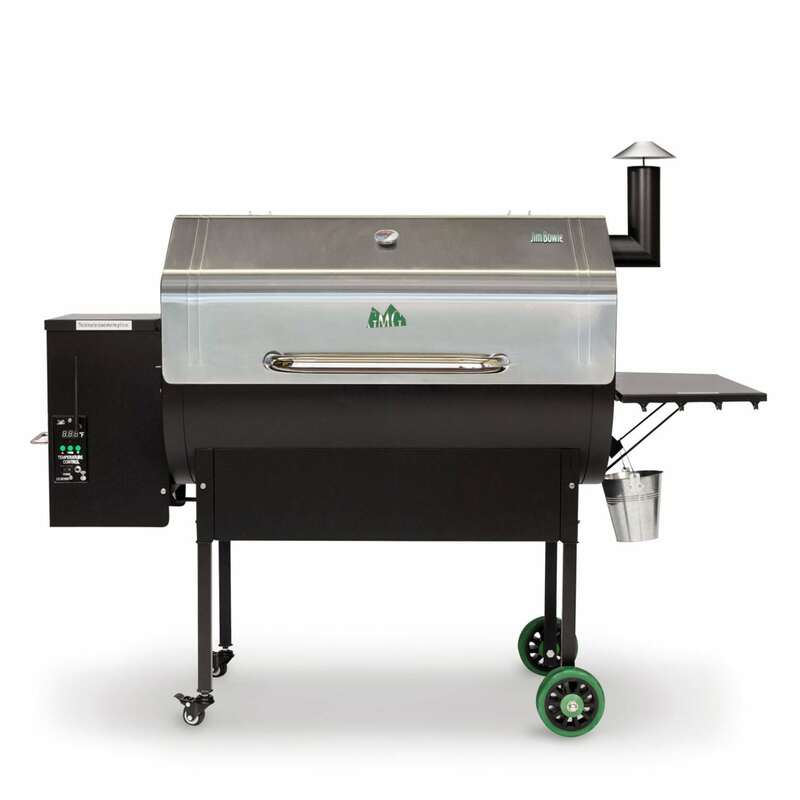 6.4 – Increase speed at which the grill raises temp over large differences. 6.3 – Revamped, all new temp control algorithms designed to reduce overshooting and hold temp more consistently. Please email us if you have any issues with it. First, make sure your chimney cap is open all the way. If not, reposition and retry. Second, clean the burn pot so there is no built up ash. Ash in the burn pot will obstruct the igniter as well as your grill’s air flow. If these steps are complete and the issue persists, it is likely your heat shield is positioned to far to the left. This causes too much heat to be deflected towards the right hand side, and away from your thermal sensor. 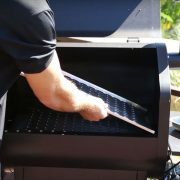 Remove the grates and grease tray, then slide the heat shield (stainless steel box directly over the burn pot) all the way to the right until it hits the edge of the notch that centers it in the bottom of the grill. If there is no power to your display, you should first try a different wall outlet, then a different power source (alligator clips, or plug direct to a 12v connection.) If the grill receives power from an alternative power source, then you need a new AC adapter. If there is still no power, check the wire connections from the back of the female power cord receptacle (on the back of hopper) and make sure both wires are securely connected. If secure, check the wiring harness clip on the back of the control panel. If there is still no power, you will need a new control panel. A good cleaning can go a long way every once and awhile. We recommend clearing the burn pot of ash after every bag of pellets you burn. A shop vac will do the trick. Remove the grates, grease trays, and heat shield. Now vacuum the burn pot and inside the bottom of the grill. The firebox could be empty because the auger has not fed pellets into it. Refer to “My auger is jamming” under the troubleshooting tab. When your grill goes through its start-up process, it is not unusual to see a great deal of smoke especially when the fans start the fire. Once you reach the default temperature of 150°F (320 (not a smoke setting) on grills made before 2009), you are in a smoke setting. Traditional smoke settings swill go up to 225°F. In this range of temperatures, you will see a steady flow of smoke as the grill is feeding more pellets into the firebox at the loss of temperature. As your grill is maintaining temps, you will not see as much smoke. As you increase the temperature controller above 225°F all the way up to 500°F, you will see even less smoke as you reach into barbecue temperatures and above. First, remove pellets from the hopper and take out the heat shield and grease tray. 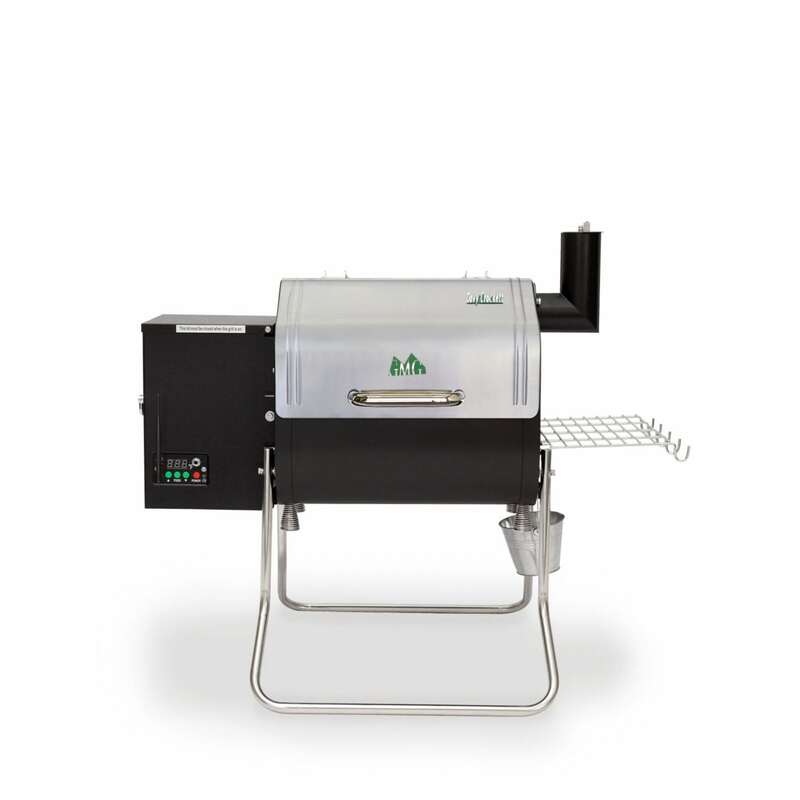 When empty, press the power button to turn the grill into cycle 0 while simultaneously tapping the auger tube (in the bottom of the body of the grill) with a mallet or small hammer. When the grill turns from “0” to “1” unplug the unit and replug, to set it back to the “0” cycle. Repeating that process should slowly work out the jam, if not you might need to clear your auger. I am having issues connecting my iPhone to my GMG. This might happen on a hot day, similar to how your car can be hotter inside that it is outside. The grill needs to produce enough heat to keep the fire going and rarely, on hot and windy days, the inside temperature may exceed the set temperature. Opening the lid for a few minutes at a time will normally solve this issue. What is the best placement for my chimney cap? Completely open will let your grill run most efficiently. If you are experiencing any temperature or combustion related issues, often a closed chimney is what to blame. Yes, it will make it much easier to clean. Eazy Drip Trays and Bucket Sleeves…. 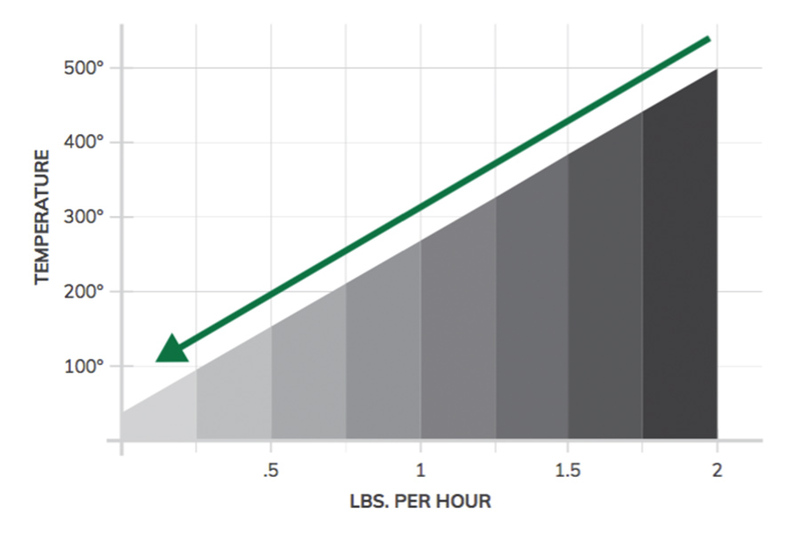 What are the temperature ranges of the Green Mountain line of grills? Pressing the power button while the grill is running will enter it into “FAN” mode. The grill will power itself down after the “FAN” mode has ended. At that time, you may unplug from the back of the hopper to cut power to the grill. The grill’s thermal sensor retrieves data from inside the grill. 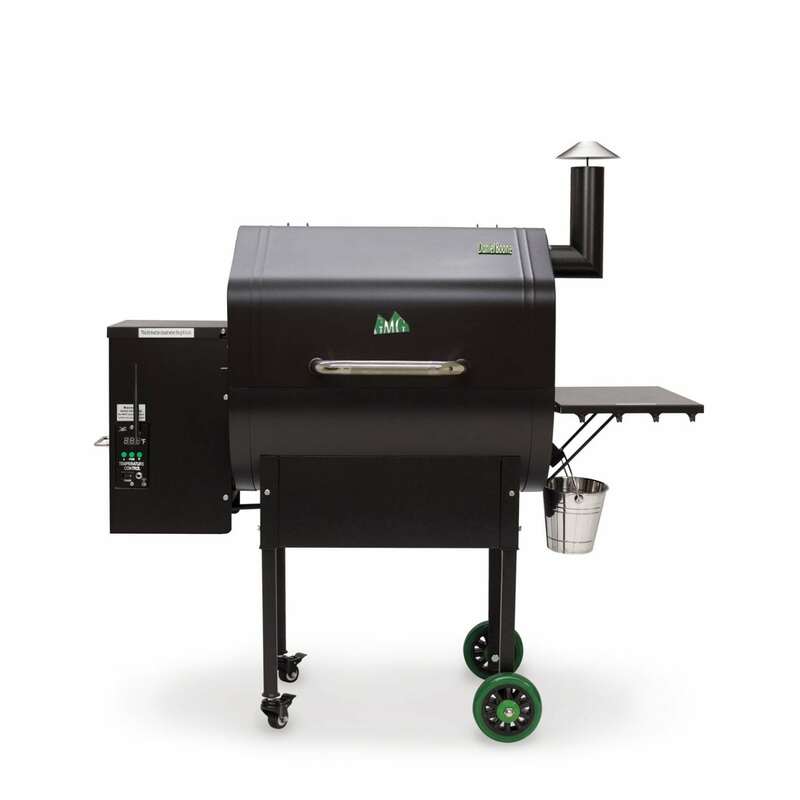 The computer on the control panel analyzes the data and responds by adjusting the air flow inside the grill and the pellet flow into the firebox. Here’s the crux: the data gathered by the PK100 platinum sensor can be erratic. Think about all of the things that affect this data – the cover being opened and closed, wind, cold food, grease splattering on the drip tray, humidity, altitude, and even how level the grill is (which can affect pellet flow into the firebox – gravity! ).So the computer receives all of this data, averages it over time, and provides a reasonably accurate display of the overall temperature inside your grill. This is why an instant air temperature reading from a 3rd party product such as Maverick, does not really provide much useful information. Your food cooks, as we’ve learned, by a combination of all three methods. The instant reading tells you only one piece of information from a tiny portion of the total space inside the grill cavity. it does not tell you the whole picture. A reading from one cubic millimeter of a cavity in which there are about 83 million cubic millimeters is not a microcosm of the cavity temperature. Do not use your grill with less than 3′ (36”) clearance from any combustible object or surface. Ambient temperature plays a role, but it should reach the maximum temperature within 15-25 minutes.